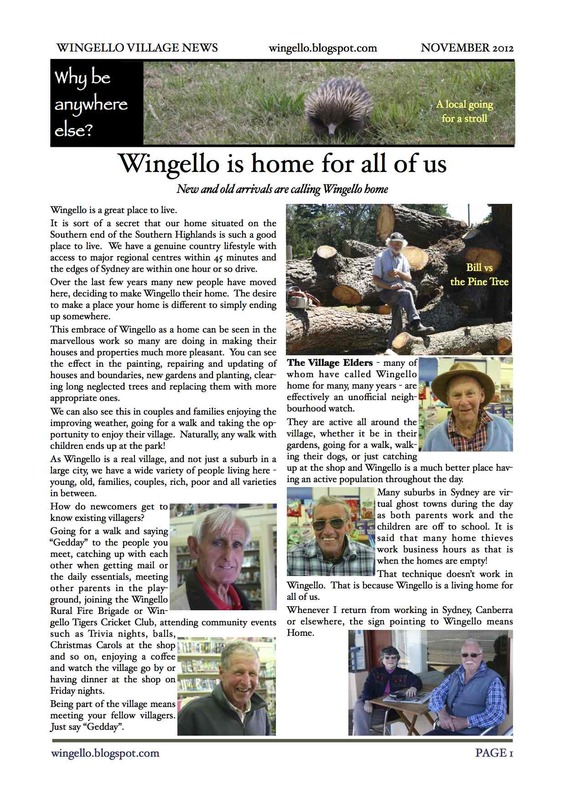 Wingello Village News for August 2012 is out. 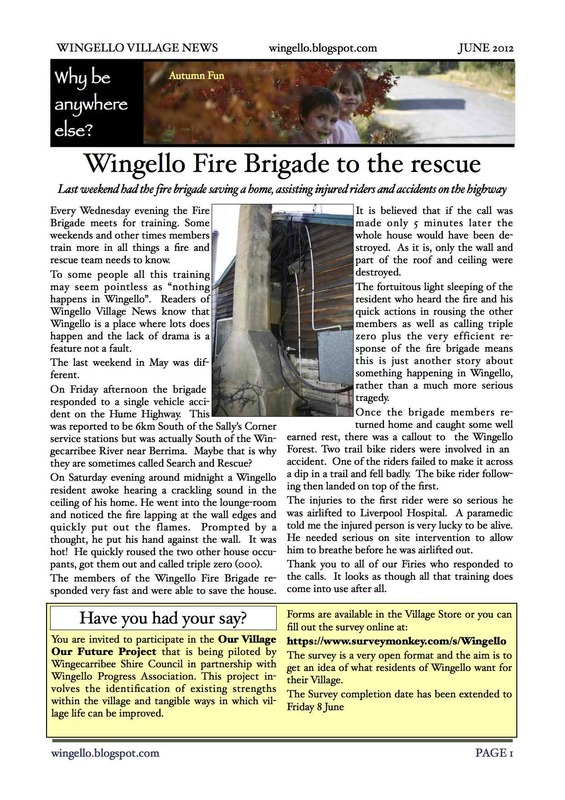 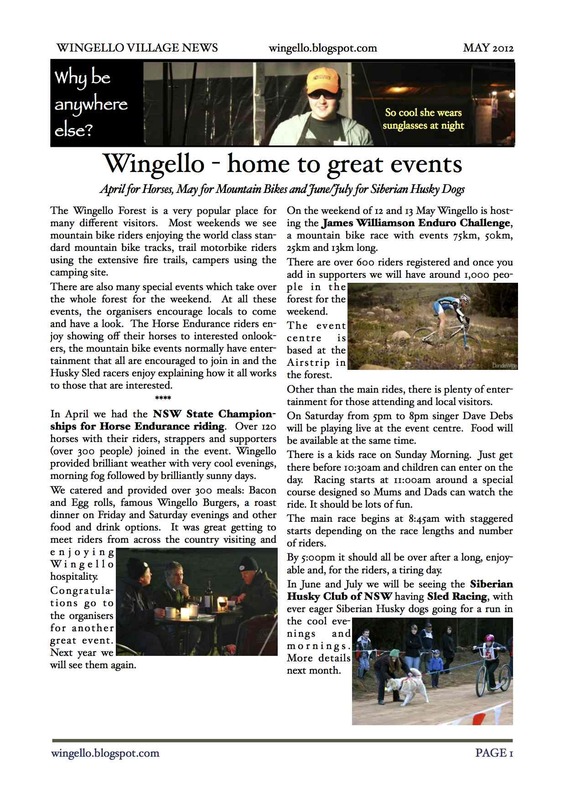 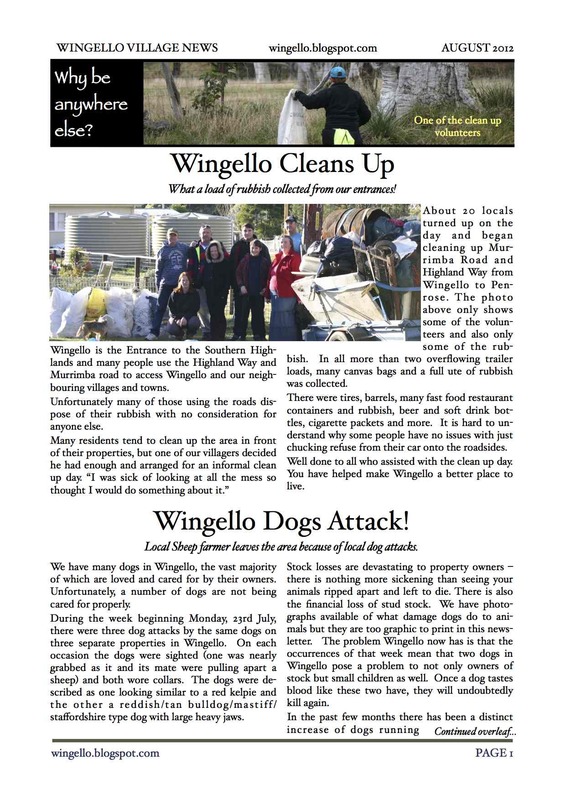 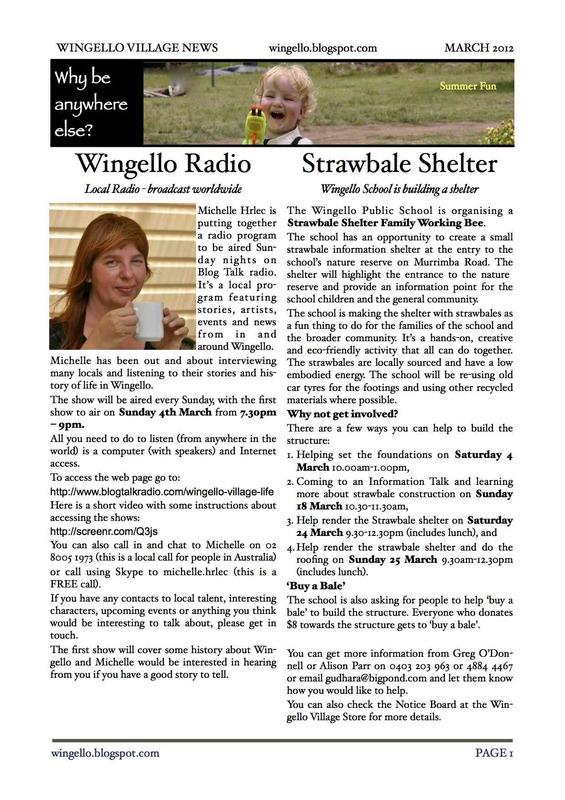 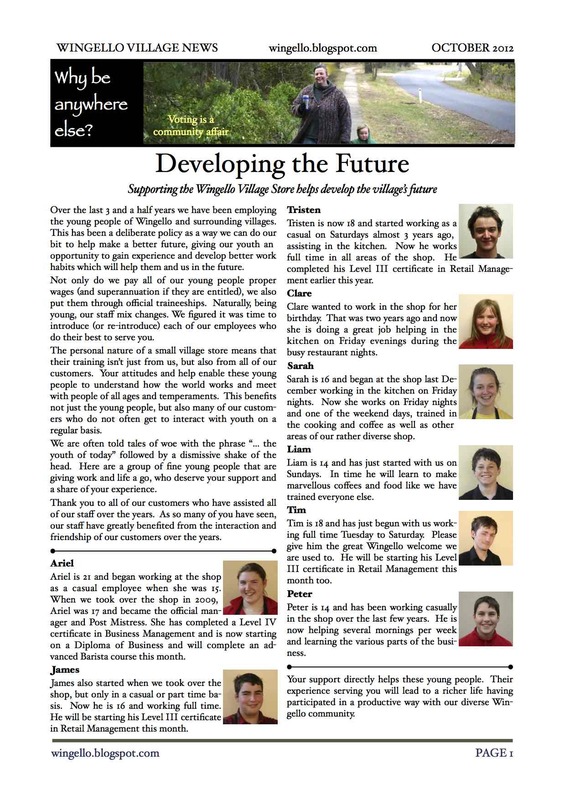 Wingello Village News Late Extra April 2012 is out. 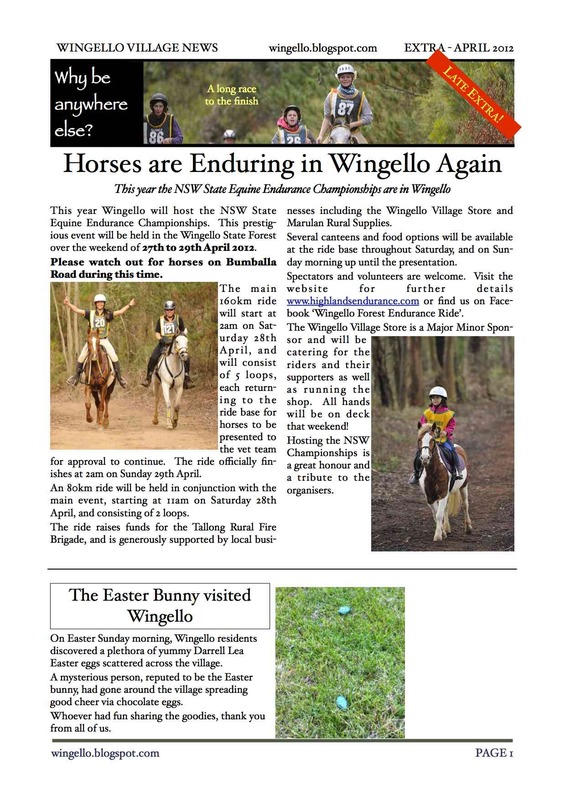 Mysterious Easter Bunny person left Chocolate Eggs around village. 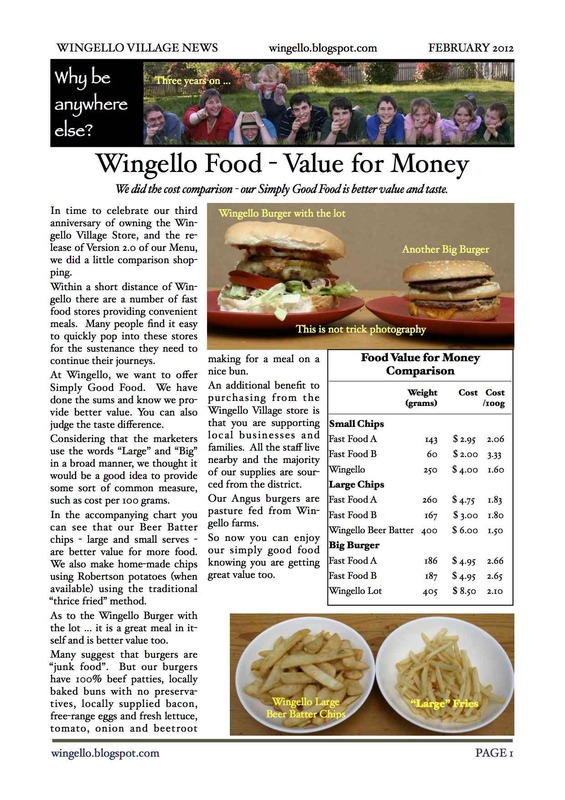 Wingello Village News for April 2012 is out. 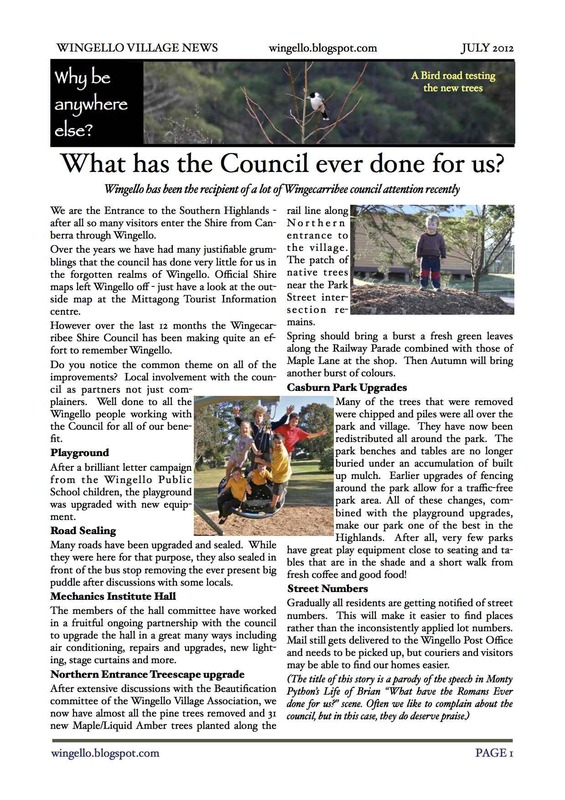 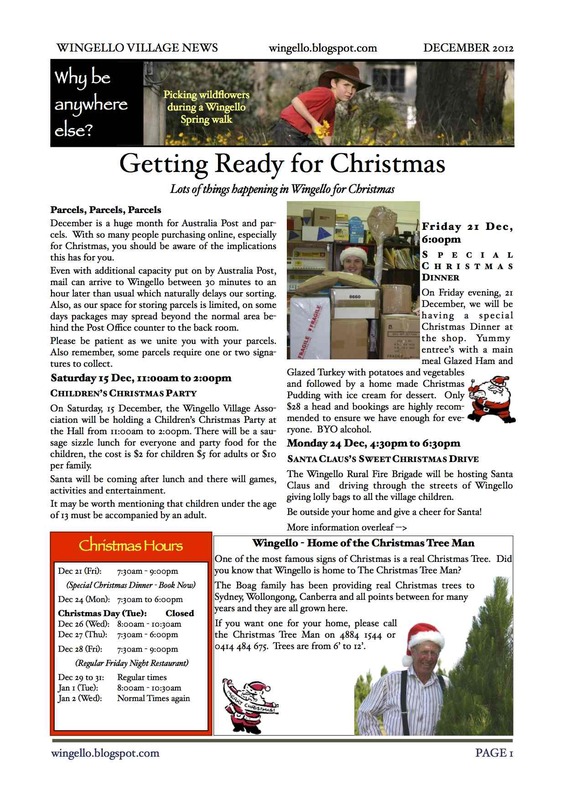 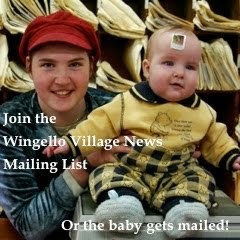 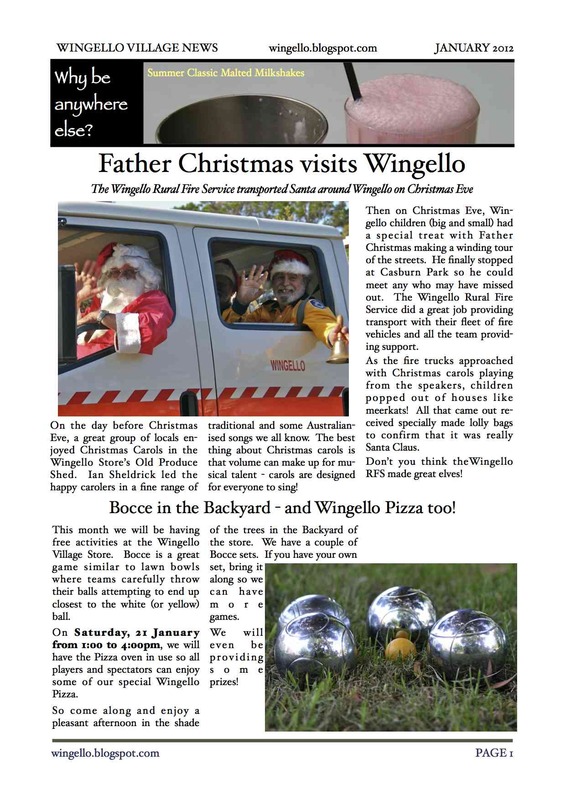 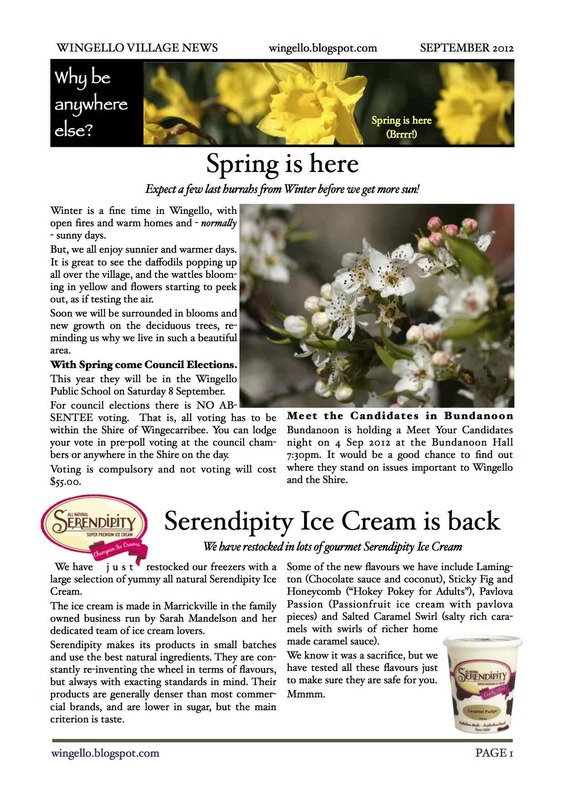 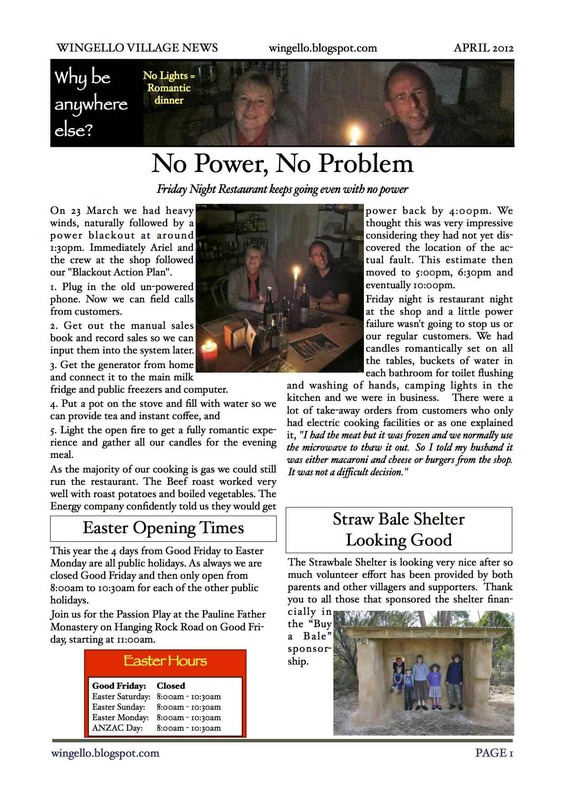 Wingello Village News for February 2012 is out.